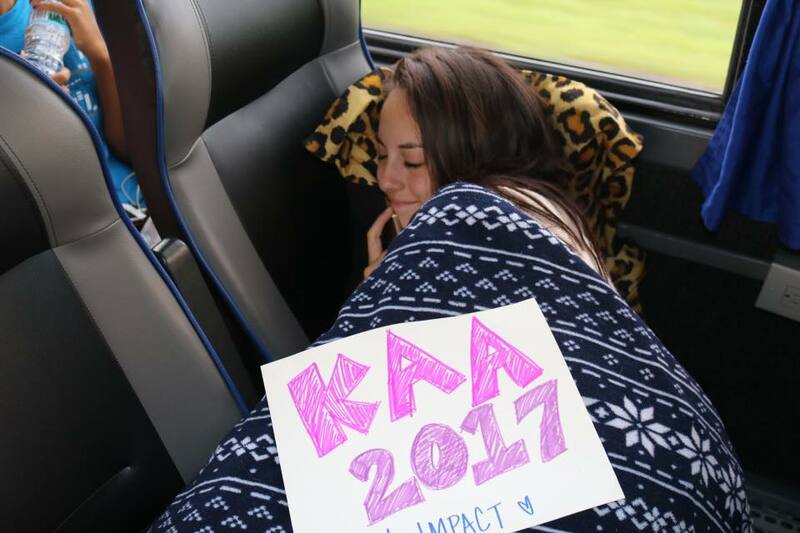 For the past 20 years, City Impact has been taking kids like Jaleesa to camp. It’s a week focused on sports, the gospel, and learning to confront and conquer life’s challenges. It’s a life changing week. Historically, we’ve taken a set of vans, driving the eight hours in cramped quarters and bathroom breaks needed every hour. 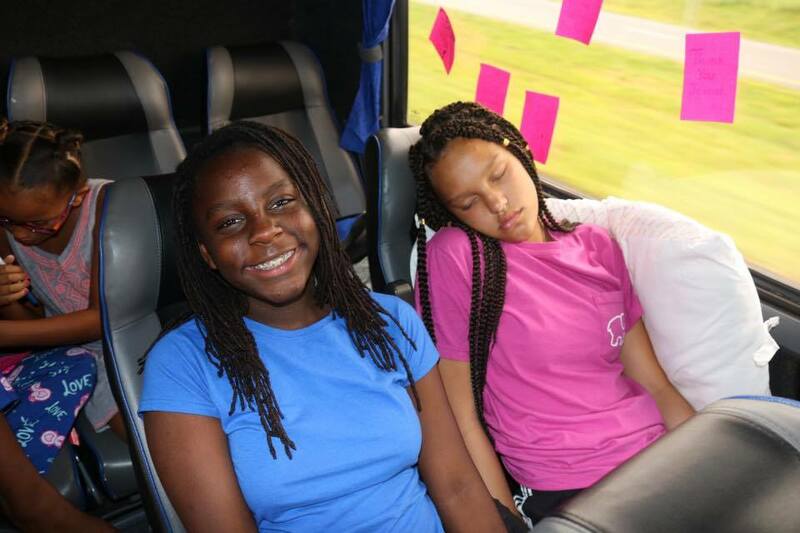 As City Impact has grown, we have been blessed to take a large charter bus where all the kids and adults can ride safely together–but this summer, due to budget cuts, there was no bus. 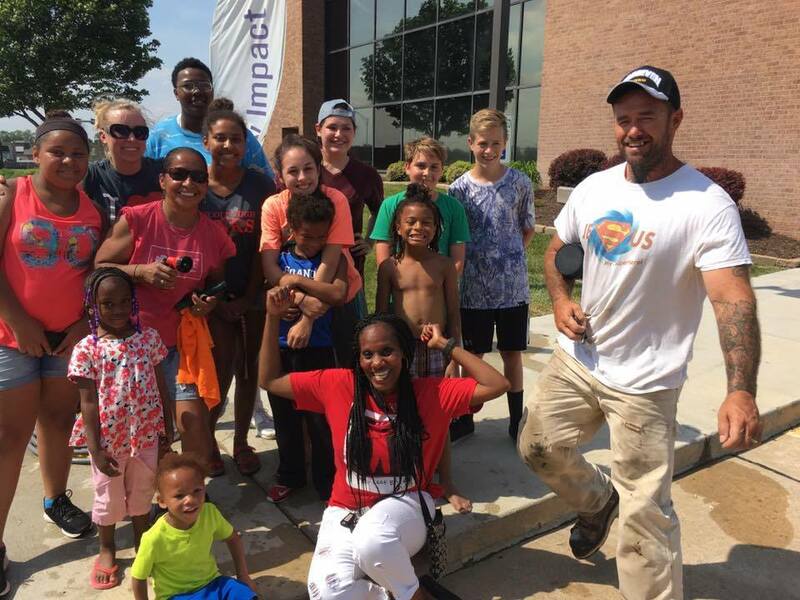 Five weeks before camp, Angela Pillow and her husband started thinking, “What if we could rally the kids and their families to raise enough money for a bus?” Angela brought the idea to the kids that night at Bible Club and asked what they thought. A huge water bucket with a RIDE THAT BUS sign found it’s home on the front desk at City Impact, and every day, kids and parents would come into drop off their change. Birthday money, Christmas money, allowances flowed in and the prayers floated up. The kids got to work not only coming up with fundraising ideas, but implementing them. Parents began stepping up and asking, “How can I help?” Items were donated for bake sales, a car wash, and everyone gave time to run these events. 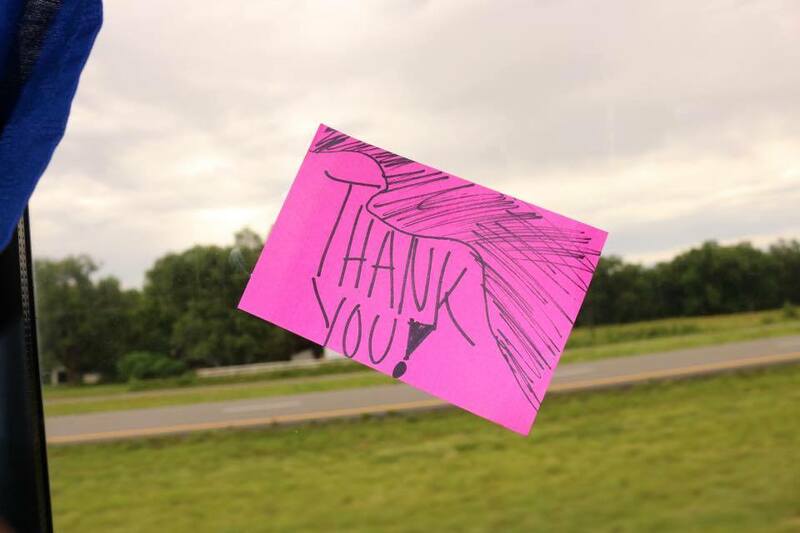 The kids began taking envelopes door-to-door in their neighborhoods and to businesses, asking for donations for their newly dubbed RIDE THAT BUS campaign. And people gave! 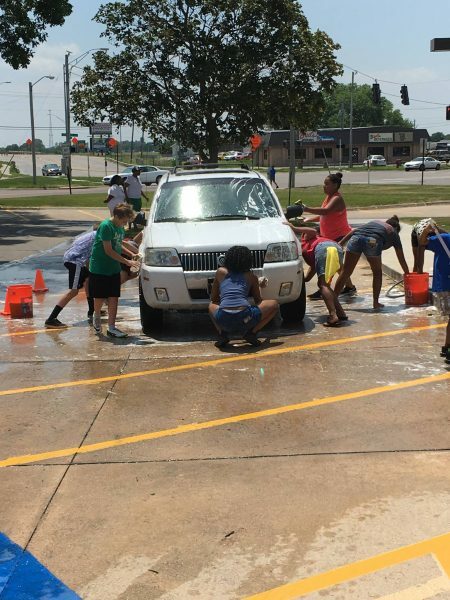 The last fundraiser the kids did a week before camp was a car wash – and they raised $800! They were elated with their progress, but disappointed because at the end of that Saturday they were still about a thousand dollars short. But that wasn’t the end of the story. That weekend Angela’s church took an offering on Sunday, a local REFIT class donated $500 from a fundraiser they had earlier that week. Miss Connie made homemade tamales and you bought them by the dozen. People who have never given to City Impact before wanted to help these kids get their bus. The Monday before camp several people dropped by the City Impact office with checks covering just the amount needed! That day, shouts of joy could be heard throughout the office when we realized we finally had enough to ride that bus. Through a grand community effort, God had done it! As we head into the future, we look back on how all of you have helped City Impact continue to not only exist but thrive here in Lincoln. We walk with over 600 under-resourced kids and their families through our programs like the Impact Reading Center, the Impact Faith Academy and the Impact Leadership Academy. The change that these kids experience because of you is incredible. Life changing moments took place at camp this year, and each day that these kids get to come to City Impact and be fed with good food and great relationships is a huge success!